Salads traditionally are cold dishes consisting of vegetables and/or fruit, often with leafy greens as a base. 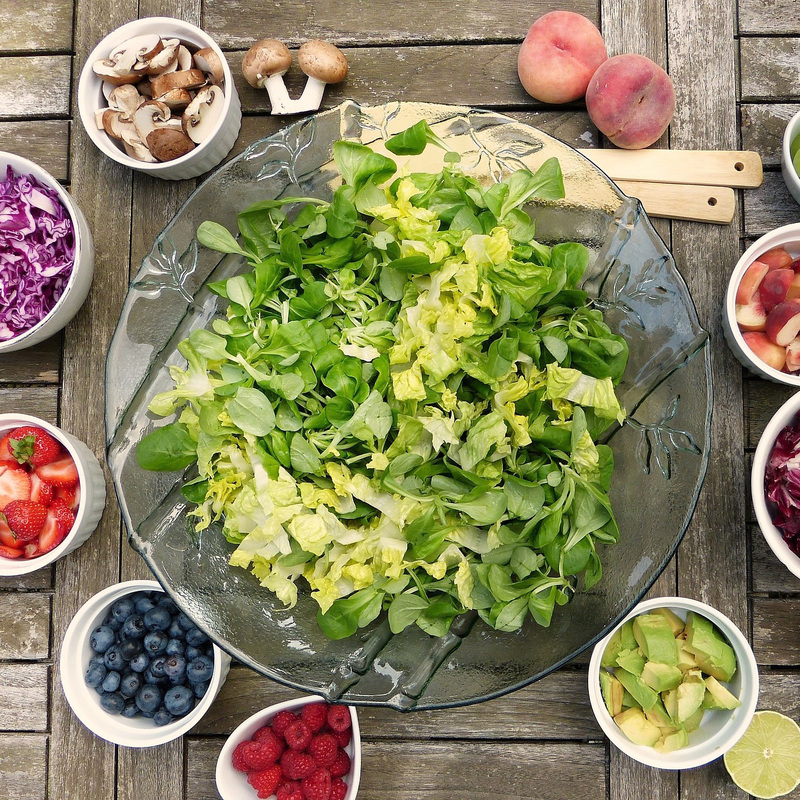 Because salads primarily consist of raw or cooked vegetables packed with antioxidants and other phytochemicals, they may help the body resist cancer, promote heart health, and improve organ systems such as lung function in children with asthma. Salads filled with water-rich vegetables may promote lower calorie consumption by increasing the feeling of fullness and reducing meal calorie intake, leading to weight loss. When you eat a produce-rich salad, you are eating whole foods packed with fiber. Extracts and pills may be formulated to reflect the nutrients found in that salad, but maximum antioxidant efficiency is obtained only through whole foods, not pills or supplements. To increase the nutrition of a salad, consider variety. Aim for the phytonutrients distributed throughout the vegetable kingdom: include different colors, plant families, and even plant parts for the healthiest salad. Beans, whole grains, nuts, and seeds add protein and other nutrients. Salads are usually made entirely or primarily of raw vegetables. Because these raw foods contain bacteria eliminated by cooking, in the past proponents of the neutropenic diet advised against consumption of any raw food for those with compromised immune systems. However, research has now shown this is not only unnecessary, but elimination of all raw foods is associated with increased risk of infection. However, this does not mean your salad, or indeed your whole diet, must be raw to be healthy. Research comparing an all-cooked diet to one that allowed raw fruits and vegetables showed no difference in infection or mortality.